My last post I was raving about how easily one can try different ethnic dishes in Singapore. I normally get my Indian food in Little India, Apollo Curry House. Whenever friends from abroad come visit, this is where I normally would bring them. Mel Gibson ate here once when he came over for some private business and it was featured in the newspaper. I am not using his name to justify why this is my favorite restaurant. Just because he is a famous actor doesn’t mean he knows good Indian food right. I think is much safer to trust my recommendation rather than his. I might not be a famous actor but I am no woman beater for sure. 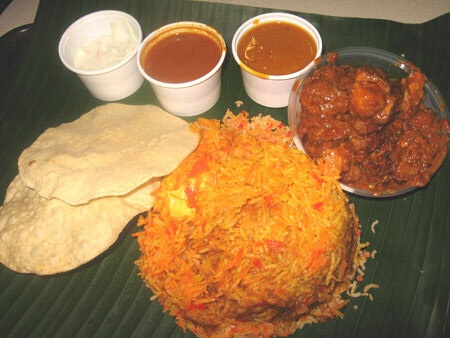 This time I did not go to Apollo Curry House in Little India, as I felt a little bit lazy to take the MRT. I’ve noticed an Indian restaurant near where I’m living for a few years now but I’ve never gave them a try. So based on my experience on identifying a decent food joint, I would say Brinda’s will not disappoint. They have been operational for a few years now and if the food is not good, I don’t think they can afford to pay the rent. Just took a 7 minutes bus ride and I’m there. I invited a friend to come along so that we can order more variety of food if need be. Brinda’s does not operate like a normal Indian babana leaf restaurant. 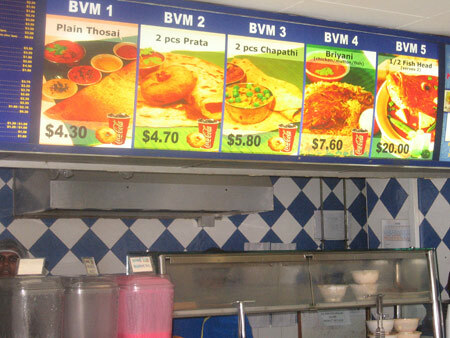 It is more like a fast food restaurant but instead of burgers, you get authentic Indian food. As we entered, were greeted by friendly staffs at the counter with uniforms. I tend to avoid fast food joint but since I’m already there, I would just give it a try and not be picky. Saw the menu at the back of the counter and one staff was explaining the set meal at the same time. I decided to order the chicken briyani rice set and my friend opted for the mutton version. It cost us SGD6.30 for each and with an additional of SGD1, you get a drink of your choice. It took them less than 5 minutes to serve us our choices of food and I gladly paid them. Oh yeah, and I forgot to mention, my friend ordered an extra serving of chicken masala as it looks really good and he can’t resist it. Since his set is mutton, he wants to taste the chicken too. I’m not worried as he is the Arnold Schwarzenegger of food. He can be like the character in Eraser or the Terminator. If the food is good, he will happily declare, “I’ll be back”. This is my chicken briyani set and it comes with cucumber raita ( cucumber with yogurt ), some dhal sauce and curry sauce. Papadam was also served, but most people who is not familiar with Indian food call it Indian chips. If you look properly, there’s a big piece of chicken buried inside my briyani rice. Also hidden in the rice was a boiled egg. What a nice surprise, is only an egg but I felt like discovering some hidden treasure. I think the food is good and worth the money. But if you are having Indian food for the first time, I suggest you do it in a non fast food type of restaurant. In non fast food type of Indian restaurant, you just need to sit down and they will serve you. If you can really eat, you can top up the non meat item like rice, vegetables, papadam and gravy without paying any extra. I’m not sure Brinda’s allows that. I am not sure how much I paid in those non fast food restaurant before. I wasn’t into food blogging then and I didn’t pay much attention. 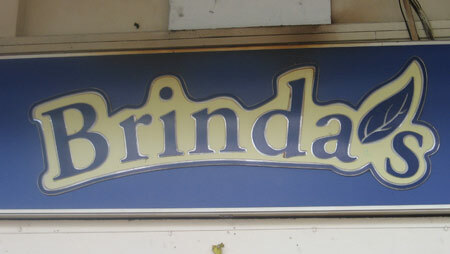 I just asked my friend after the meal if he would come back to Brinda’s if he craves for Indian food one of these days. He just said, “I’ll be back”!